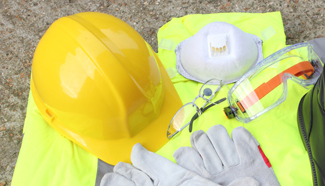 We understand just how important head protection and personal protective equipment (PPE) is in the work place for the safety of you and your employees, that’s why we only offer high quality equipment. Hard hats in a range of colours (which can be printed with your company logo), safety glasses including chemical protection and ear protection are all included in our range of PPE. Hand injury is one of the most common and frequent complaints in the workplace so we supply a range of gloves that protect from a range of hazards.